We spent a (fortunately sunny) afternoon touring Van Dusen Gardens, which Jim regards as one of the finest gardens in North America. I took a lot of pictures of the heron in Livingstone Lake because he posed for such a long time; I kept hoping he would do something, but a yawn was as good as I got. 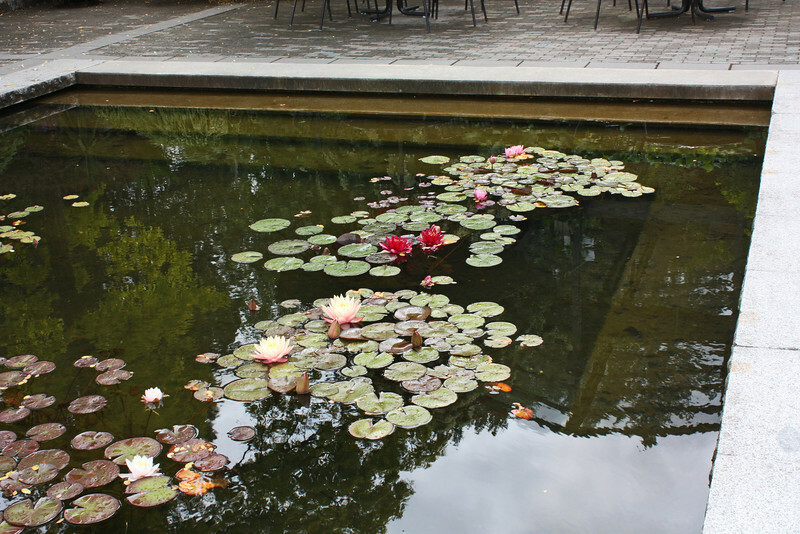 Lily pond, Phyllis Bentall Garden. Note all the different colors.